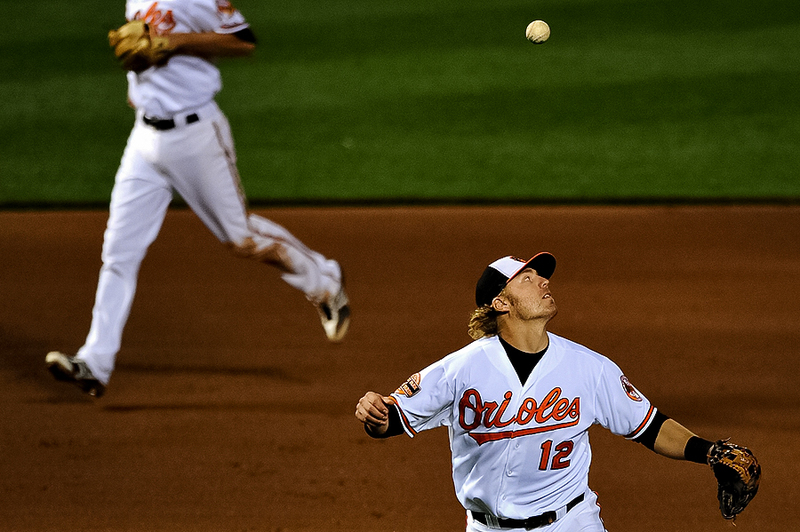 "Baltimore Orioles third basemen Mark Reynolds #12 bobbles a hit and cannot make an out against the Texas Rangers in the sixth inning at Oriole Park at Camden Yards in Baltimore, Maryland on May 7, 2012." The hottest team in baseball, the Baltimore Orioles, dropped the ball. Coming off impressive wins over the Yankees and Red Sox, they returned to Baltimore to be crushed by the Texas Rangers, 14-3, on Monday. Not much action in the field as the Rangers steady stream of hits piled up the score all the way through the ninth inning. Thought this image showed the Orioles struggles and was also a nice follow up from the last post here.